The battle continues...if you have been following our hypothetical "Johnny Reb" Chickamauga scenario, then here is the latest update! We have left this game set up on the gaming table and keep returning to it from time to time to complete a few turns. I like being able to leave a game set-up, since I enjoy the in between turn player strategy talks, taunts and boasts! 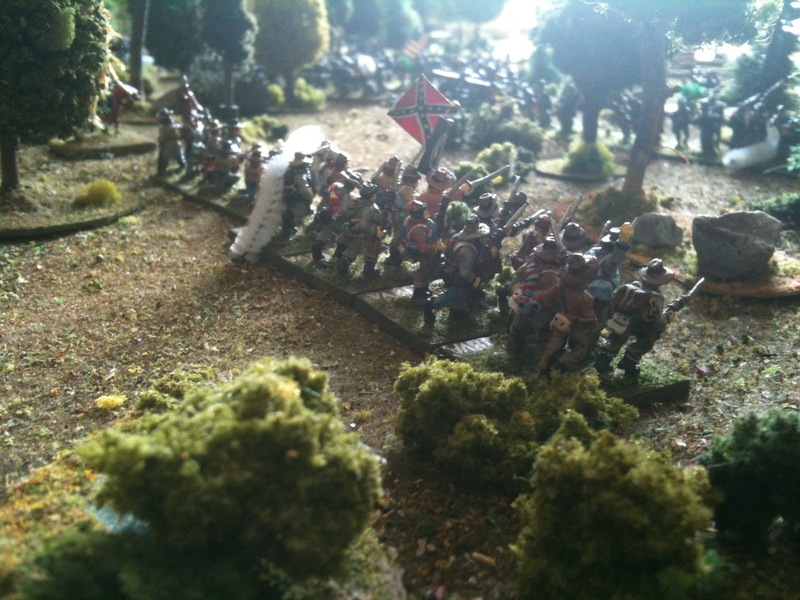 The battle has turned into a huge fire fight in the woods in front of the cross-roads (the CSA objective). The Union is very strong in the center and on their left flank, but things have been shaky on the USA right flank, especially now that the CSA artillery is moving into that area. It looks now like the USA can win if they successfully counter-attack in the center. 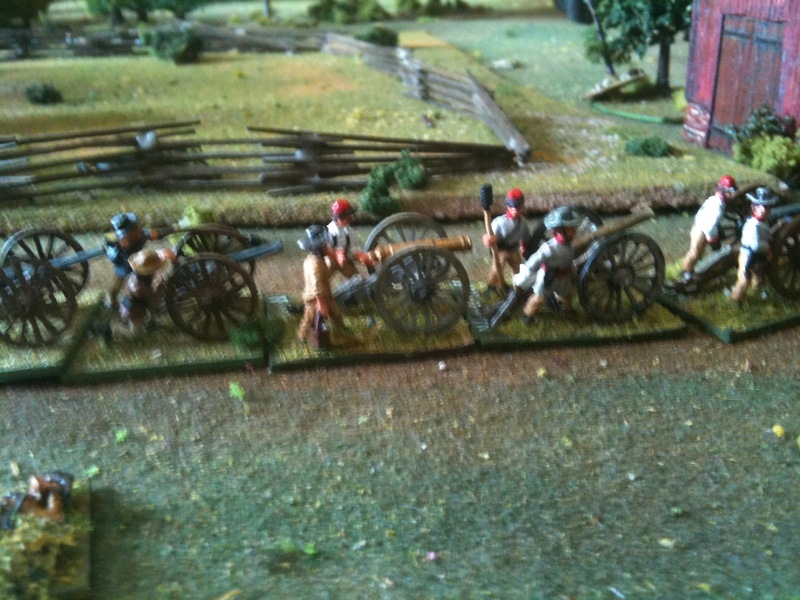 If they wait too long the CSA has a great opporunity to win by moving the artillery towards the Union right flank and blasting away! 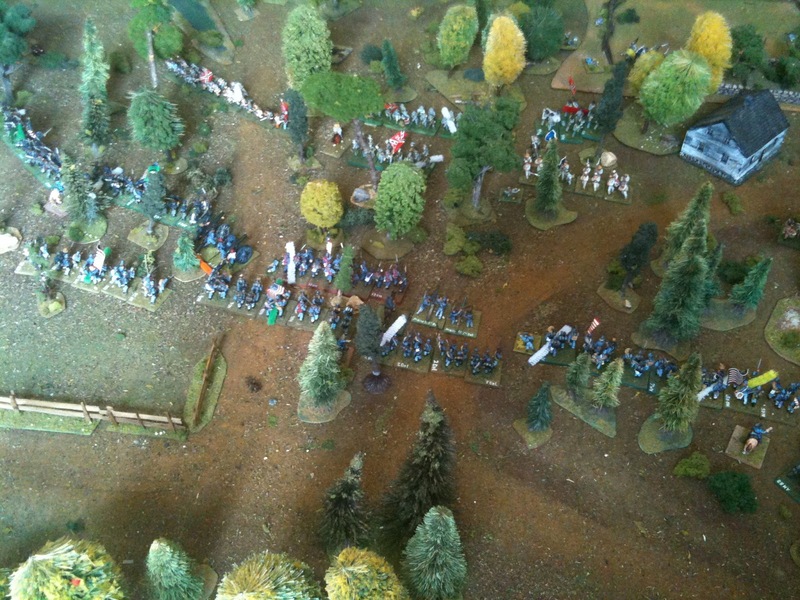 The view from the CSA side in the center of the battlefield. An overview of the center of the battlefield. Great miniatures sale at Wargames!